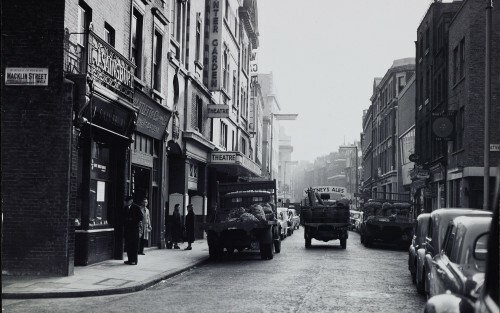 Photograph showing Sainsbury's first shop at 173 Drury Lane, London. Posters advertising New Zealand Butter and Danish Butter are in in the window. Photograph showing Sainsbury's first shop at 173 Drury Lane, London. A poster "Bacon: See the prices at Sainsbury's" is in the window.